Dr. Sahand Golshan is a top-ranked podiatrist in Riverside, CA, offering advanced sports medicine services for patients at California Foot and Ankle. Dr. Golshan has extensive experience treating issues affecting athletes of all levels, helping patients of all ages get back to the activities they love. Sports medicine is a specialty area of medicine that focuses on the special needs of athletes of all levels, including professional athletes, student athletes and casual or “occasional” athletes who enjoy hiking, biking and other outdoor activities. Doctors who practice sports medicine understand these special needs as well as the types of injuries that are more common among all types of athletes, and they're trained in the treatments and techniques used to help athletes return to their sports and activities as soon as possible. Sports medicine specialists can also provide patients with the care and guidance they need to perform better and to avoid injuries in the future. How Can Podiatrists Help Manage Sports-Related Injuries? Podiatrists trained in sports medicine can also help athletes recover following non-sports-related injuries like car accidents or slip-and-fall accidents, and they can provide treatment and prevention strategies for issues like corns, bunions, and blisters. How Are Sports Injuries Diagnosed and Treated? Diagnosis of sports injuries begins with a review of the patient's symptoms and their medical history, followed by visual and hands-on evaluations of the foot and ankle. Diagnostic imaging like x-rays or CT scans may also be helpful. Treatment will depend on the underlying condition, with conservative options like rest, ice, injections to relieve pain and inflammation, and splinting being used whenever possible and surgery reserved for more complex injuries. 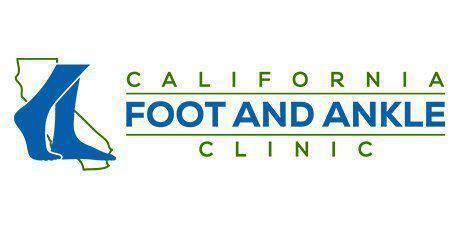 At California Foot and Ankle, each treatment is based on the patient's specific needs for the best possible results.